Summary: Researchers report neurodegeneration associated with frontotemporal dememntia could span from a reduced trophic support for neurons. In a recent study in Human Molecular Genetics, researchers from VIB and KU Leuven led by prof. Philip Van Damme, reveal a novel function for progranulin in lysosomes: it acts as chaperone of the lysosomal protease cathepsin D. The results were obtained in collaboration with Prof. Paul Saftig from the University of Kiel. Frontotemporal dementia or FTD is the second most common form of early onset dementia, after Alzheimer’s Disease, characterized by neuronal loss in the frontal and anterior temporal lobes. It generally affects people in their mid 40’s to mid 60’s leading to severe changes in behavior or language problems. Behavioral changes include, but are not limited to, apathy and disinhibition, which eventually prohibit the patient’s ability for normal social interaction. Patients can also display different language problems leading to semantic dementia or primary progressive aphasia. Currently, there is no treatment available for this disease, limiting the prognosis of FTD patients to 6-8 years after symptom onset. In almost half of the patients, the disease runs in the family. Mutations in the gene encoding progranulin are one of the most frequent causes and result in a 50% loss of functional progranulin protein. Efforts to model the human disease in mice have been disappointing as the full knockout of progranulin leads to a mild phenotype without neurodegeneration. Previous studies have shown that progranulin can stimulate neuronal survival and neurite outgrowth in cultures. These findings led to the hypothesis that neurodegeneration in FTD patients might occur due to a reduced trophic support for neurons. An in vivo paradigm of facial nerve crush injury was used to study the neurotrophic effects of progranulin in more detail. The recovery from such injury was delayed in the absence of progranulin and reintroduction of human progranulin in these mice could completely rescue this deficit, indicating that axonal regeneration after nerve injury depends specifically on the presence of progranulin. Using newly generated microglial and neuronal specific progranulin knockout mice, it was show that basal progranulin expression is mainly neuronal and that only neuronal progranulin deletion drives the axonal outgrowth deficit. Frontotemporal dementia or FTD is the second most common form of early onset dementia, after Alzheimer’s Disease, characterized by neuronal loss in the frontal and anterior temporal lobes. NeuroscienceNews.com image is for illustrative purposes only. A transcriptomics approach to identify possible mediators of the observed effects pointed towards the lysosomal aspartic protease cathepsin d (CTSD) as the most upregulated gene in progranulin knockout mice. A direct interaction between the two proteins was established. In the brains of aged progranulin knockout mice, the relative CTSD activity was reduced. By adding progranulin, the proteolytic activity of CTSD could be stimulated in a dose-dependent manner. Progranulin was shown to bind to CTSD and prevented its heat induced degradation. The interaction between GRN and CTSD proved to be necessary for the recovery after facial nerve injury, linking the neurotrophic effects of GRN to a lysosomal chaperone function on CTSD. 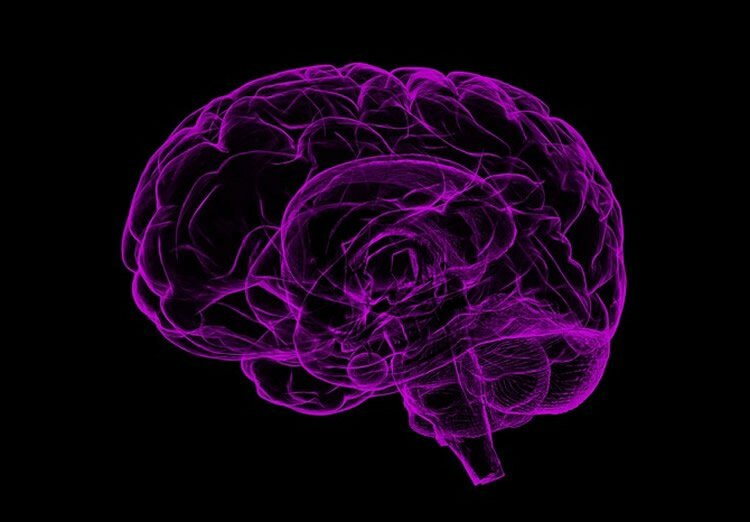 VIB Flanders “Frontotemporal Dementia Linked to Shortage of Progranulin.” NeuroscienceNews. NeuroscienceNews, 8 May 2017. VIB Flanders “Frontotemporal Dementia Linked to Shortage of Progranulin.” http://neurosciencenews.com/progranulin-ftd-6615/ (accessed May 8, 2017). Loss of function mutations in progranulin (GRN) cause frontotemporal dementia, but how GRN haploinsufficiency causes neuronal dysfunction remains unclear. We previously showed that GRN is neurotrophic in vitro. Here, we used an in vivo axonal outgrowth system and observed a delayed recovery in GRN-/- mice after facial nerve injury. This deficit was rescued by reintroduction of human GRN and relied on its C-terminus and on neuronal GRN production. Transcriptome analysis of the facial motor nucleus post injury identified cathepsin D (CTSD) as the most upregulated gene. In aged GRN-/- cortices, CTSD was also upregulated, but the relative CTSD activity was reduced and improved upon exogenous GRN addition. Moreover, GRN and its C-terminal granulin domain granulinE (GrnE) both stimulated the proteolytic activity of CTSD in vitro. Pull-down experiments confirmed a direct interaction between GRN and CTSD. This interaction was also observed with GrnE and stabilized the CTSD enzyme at different temperatures. Investigating the importance of this interaction for axonal regeneration in vivo, we found that although individual tolerated, a combined reduction of GRN and CTSD synergistically reduced axonal outgrowth. Overall, our data links the neurotrophic effect of GRN and GrnE with a lysosomal chaperone function on CTSD to maintain its proteolytic capacity.